Diplomacy and design were on display Friday night during a fashion show at the National Museum of Women in the Arts that brought together fashion experts, diplomatic leaders and policy influencers. WASHINGTON — Diplomacy and design were on display Friday during a panel discussion at the National Museum of Women in the Arts that brought together fashion experts, diplomatic leaders and policy influencers. 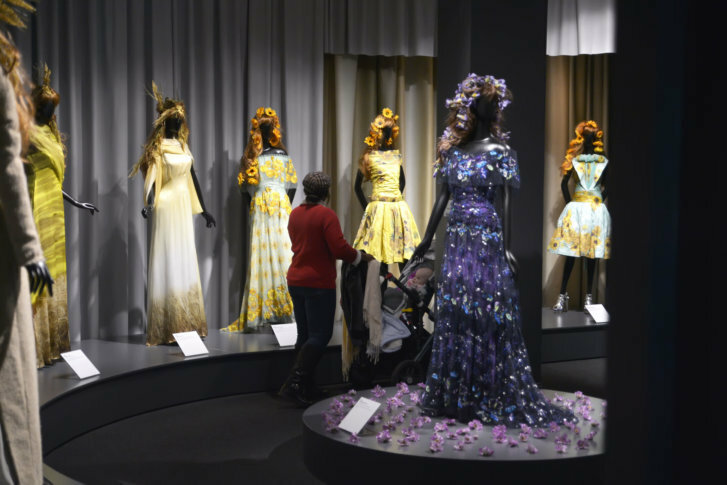 Put on by the Meridian International Center, the “Diplomacy X Design” event also featured an exhibit of the American luxury fashion house, Rodarte. The night included a panel discussion with fashion experts and writers on the relationship between design and world issues. Those on the panel included The Washington Post writer and fashion critic, Robin Givhan; Hildy Kuryk, former communications director at Vogue; and Michelle Obama’s stylist, Meredith Koop. The Rodarte exhibit served as a backdrop for the night. The showcase featured the tutus worn by actress Natalie Portman in the film, “Black Swan” and a collection of gowns inspired by the motion picture, “Star Wars”. The exhibit is on view until February 10, 2019. See photos of the event below.